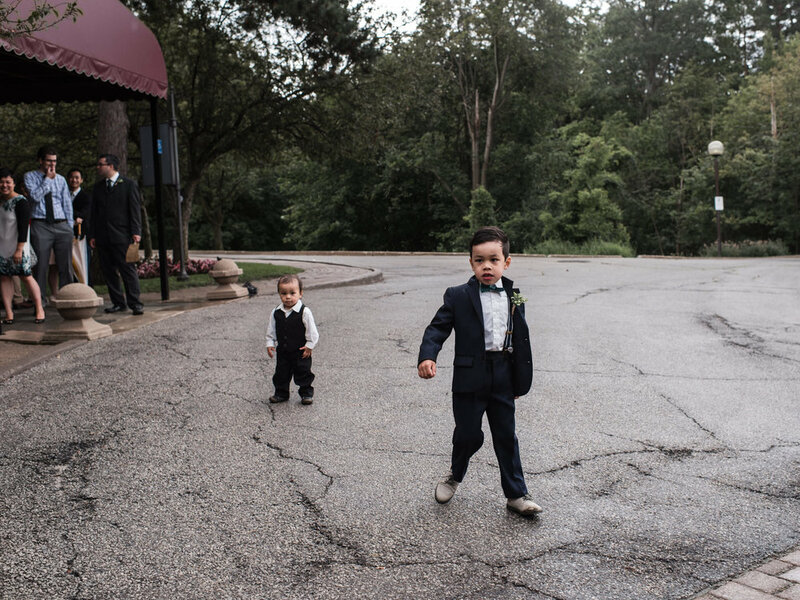 This wedding was full of love. And I know that's easy to say because it's a wedding, but then thinking of words to put together to describe these two, humble and gentle were words that came to mind. And coincidentally, it was only when I reread the scripture (Eph 4:1-6) they had chosen for their wedding that I realized how they were already perfect examples of what it means to 'Be completely humble and gentle; be patient, bearing with one another in love.' To say that they're the perfect match is an understatement because although their love is quiet and gentle, it is strong and full. It's the kind of love that doesn't need a lot of words but can be felt and seen from those around them. R & N had their brunch wedding at The Estates of Sunnybrook. 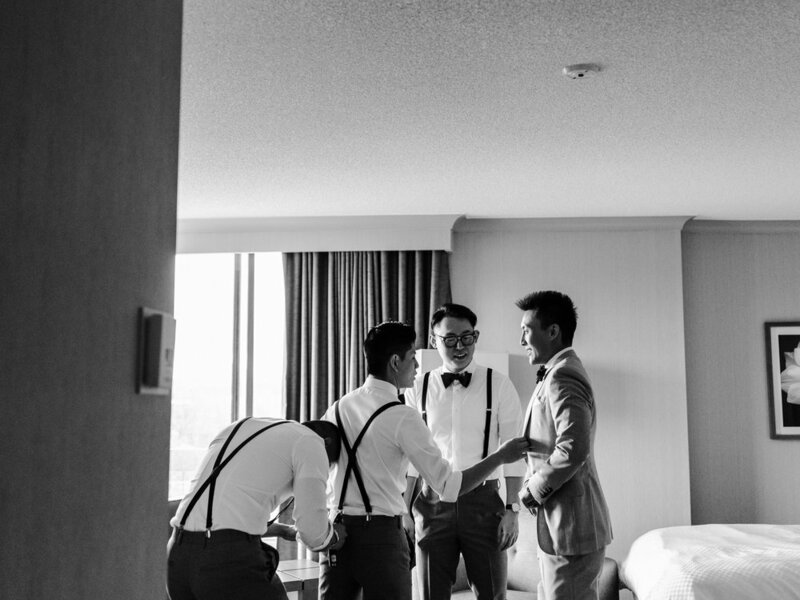 For their getting ready, the guys and girls got ready in separate hotel rooms at the Prince Hotel just minutes away from the Estates of Sunnybrook. 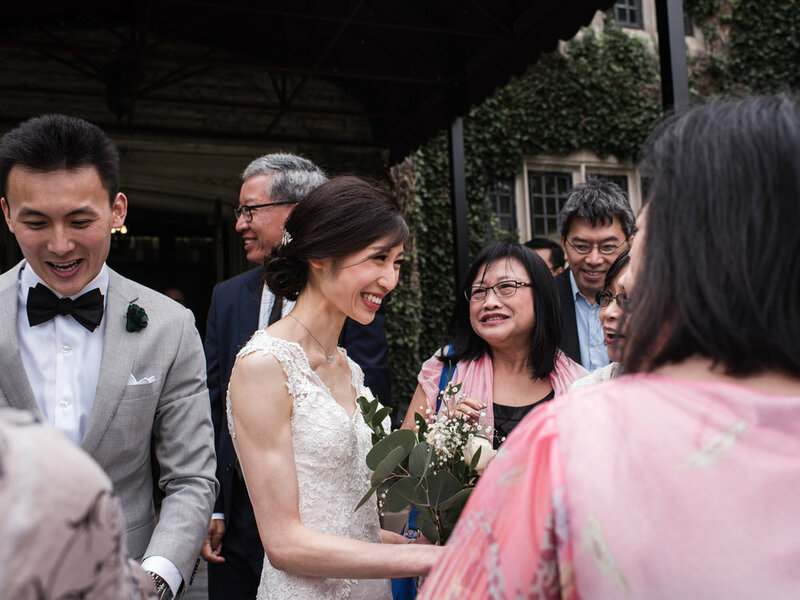 Upon arriving, the couple held a Chinese tea ceremony that was held upstairs in the Valleyanna room of the Vaughan Estates building. It was a perfect spot for a tea ceremony since there were windows everywhere! 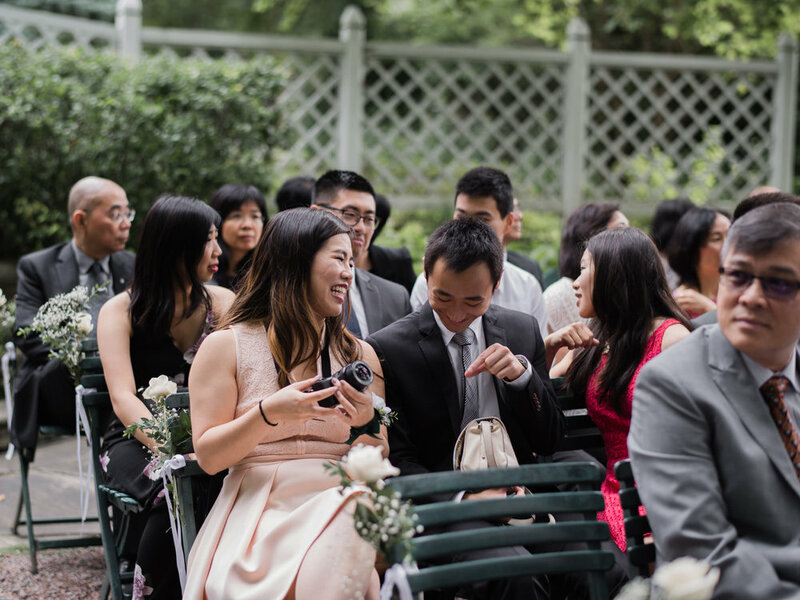 Their wedding ceremony was then held in the outdoor ceremony spot, just steps away from the main building where they held their brunch wedding reception, as well, in the Vaughan Estate. The reception was in the main ballroom which again was just stunning for photos. It was bright, clean, and with tons of window so perfect for lighting a brunch ceremony. 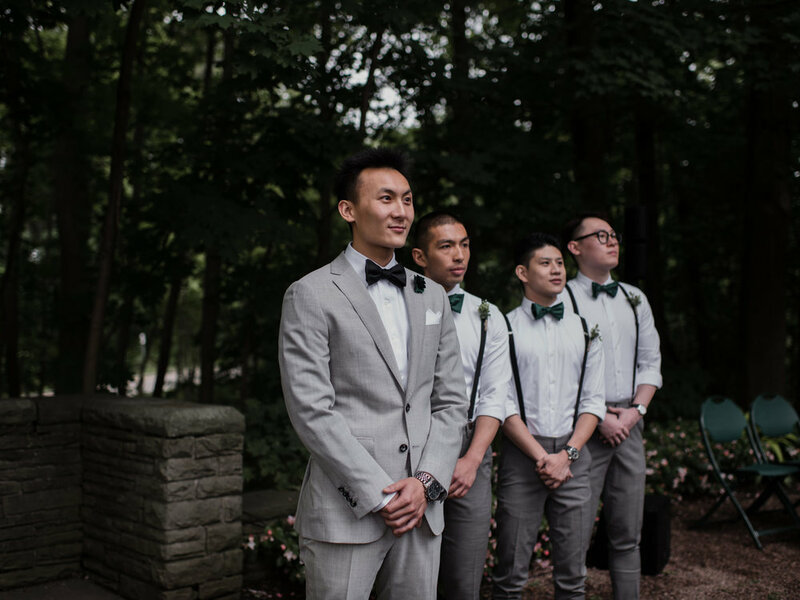 Overall, the bride and groom kept things simple and minimal and focused on each other and their loved ones. Throughout the day, I saw nothing but love and support from those around them. Including the coordination, DIY set ups, worship team, and many other things I can’t count. I love that weddings bring together a family and a community of people. It is really what weddings should be about! No extravagant details, flowers or centrepieces but rather just a celebration of them and the community of supportive friends and family who've seen them grow from just friends to now husband and wife. What an inspiring day it was.